It doesn&apos;t happen often in the South. But when it does, snow has the unique ability to fill Southerners with both dread and wonder. The dread part comes when we accept that, unlike our Northern neighbors, we are neither equipped nor inclined to drive in the coming blizzard... blizzard being the choice word for anywhere from a quarter inch to 7 inches of snow. The wonder part comes when we survey the post-snow winter wonderland Mother Nature has made of our backyards and downtowns. A normally familiar landscape made beautiful and unrecognizable. 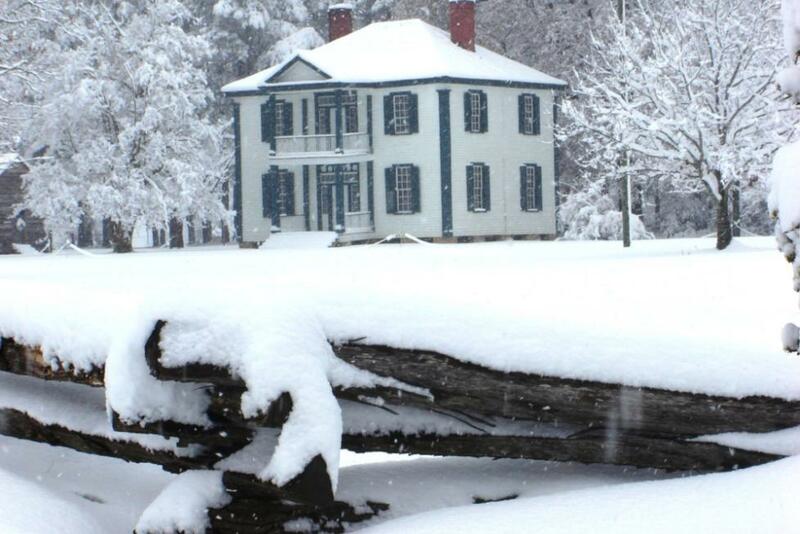 Enjoy some of these photos taken recently from around Johnston County during this week&apos;s snow event. The first snow of the season. There are many mild-temperature-loving Johnstonians hoping it will also be the last. 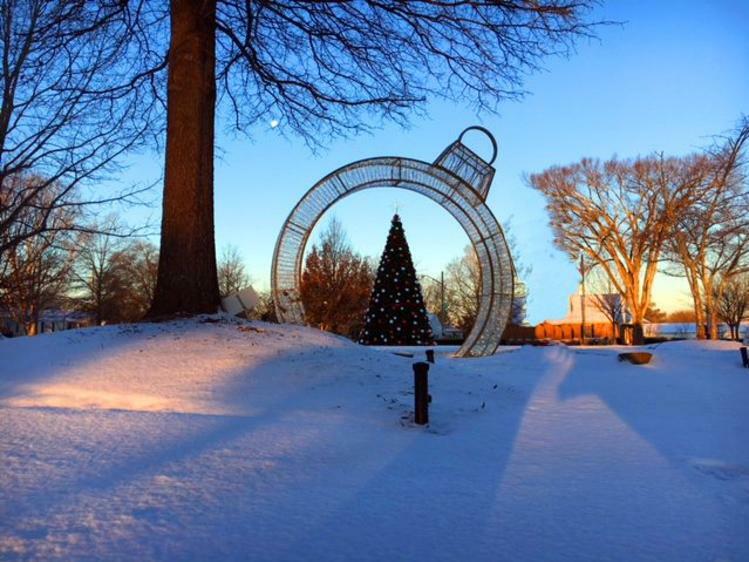 The Johnston County Courthouse in Downtown Smithfield makes a stunning scene in the snow. A slightly blurry, but no less picturesque, photo of Downtown Benson in the snow and still alight with Christmas glow. Thanks to the Town of Benson for sharing this. The holiday theme continues. 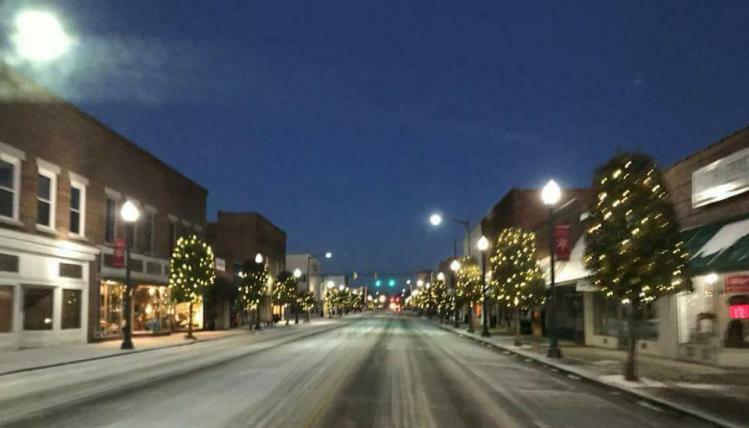 Here is Downtown Clayton as the morning sun kisses the new fallen snow. Thanks to the Town of Clayton for posting this picture. Hinnant Vineyards posted this to their Instagram. 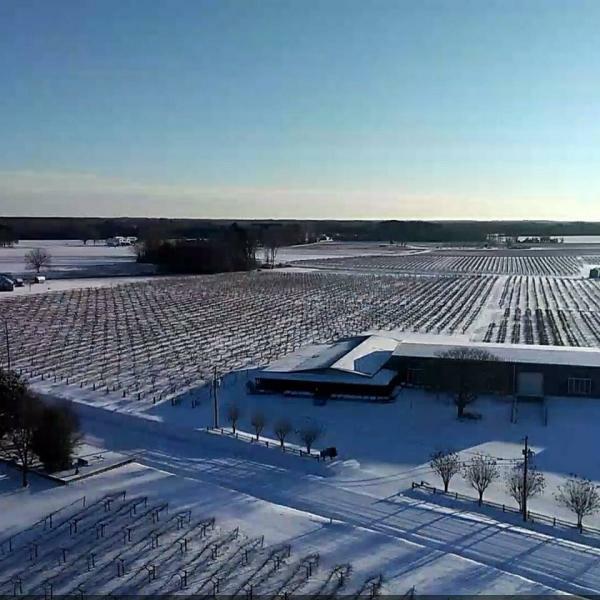 Come Fall these vines will be heavy with muscadine grapes, but this week they&apos;re just chilling in the snow. 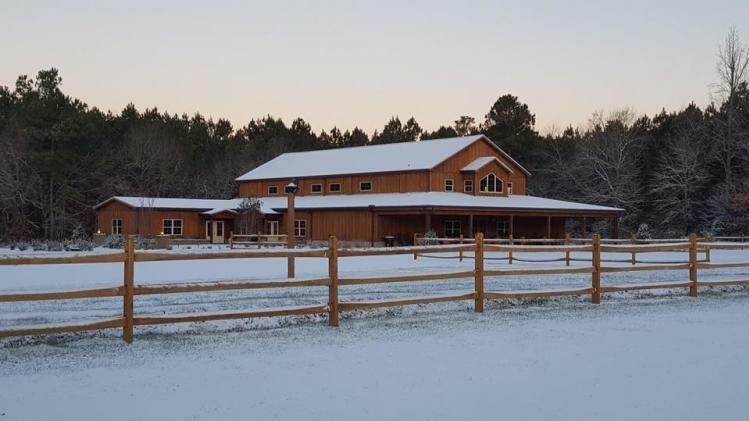 The Barn at Broadslab made a pretty sight covered in snow. Broadslab also makes and sells dirt-to-bottle moonshine... that will keep your warm till this artic cold passes. Learn more about visiting Johnston County year-round at johnstoncountync.org. Stay safe and warm out there this winter!